Check out the latest videos of Ride with Larry and see marijuana's effect on him. RPSG's library now has six copies of Jon Palfreman's book "Brain Storms". Check one out! Check out cartoons by Peter Dunlap-Shohl of The Parkinson's Rag. Time change and location of the Wednesday yoga and exercise class at the Roseville Sports Center. Click here. To provide education and support to people with Parkinson's disease and related disorders. Roseville Parkinson's Support Group (RPSG) is a non-profit (Tax ID 65-1197368) organization whose purpose is to help people, and their caregivers, afflicted with Parkinson's Disease (PD). We provide ongoing education and support to members as well as interested parties of the support group with publications, videos, and expert guest speakers. We hold an annual fundraiser to help find a cure for PD. Most important, we support each other and share our common experiences. 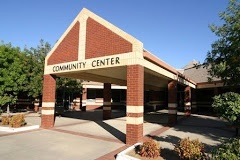 RPSG meets on the first Tuesday of each month from 1:30 p.m. to 3:00 p.m. at the Maidu Community Center in Roseville, CA.